The non-academic staff unions of Nigerian universities will go on strike from Monday. 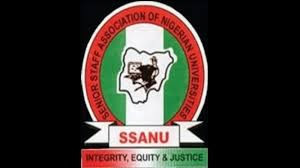 The unions, members of NAAT, NASU, and SSANU, announced the resumption of the strike in a joint statement. The statement was signed by the national presidents of NAAT, Sani Sulaimon; NASU, Chris Ani; and SSANU, Samson Ugwoke. The workers said they rejected the mode of sharing the recent financial allocation to universities. “We wrote a letter to the federal ministry of education to explain the criteria for the allocation and we gave them seven days notice to do the needful. But the date has elapsed without a response from the federal government,” they said.